July | 2008 | let's go pinas!! The Philippines has definitely a rich and diverse amount of marine life as our country is an archipelago. The surrounding oceans and seas give us bountiful resource of fish and aquatic animals for food supply and of course for ecological balance. It is but fitting that somehow an entity has put up Manila Ocean Park, just behind the Luneta Grandstand to showcase what can be witnessed under the deep seas and the shallow waters surrounding our country and even the whole of South East Asia. 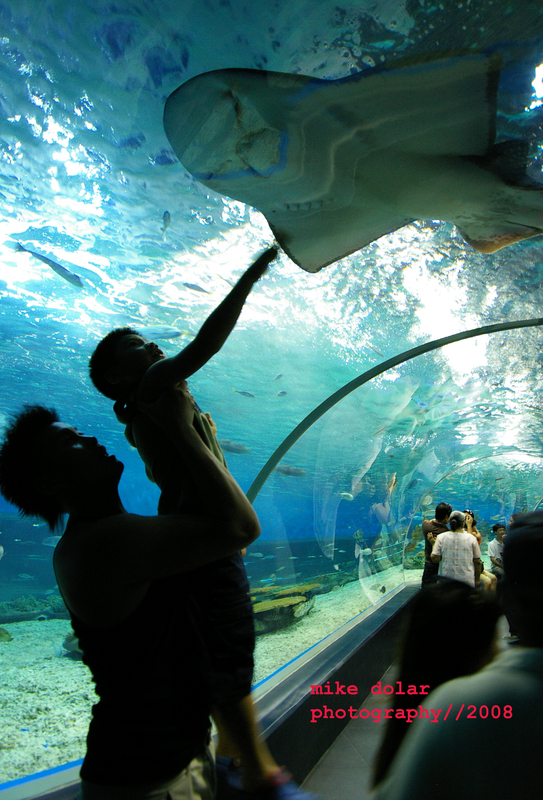 The Oceanarium is divided into sections depending on the kind of water environment where the marine life is. 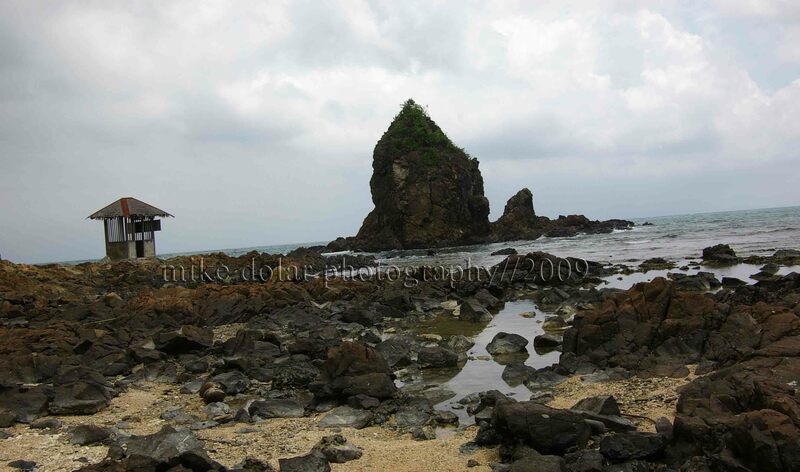 Examples of which are Laot (Fishing Ground), Buhay na Karagatan (The Living Ocean) and Ang Kalaliman (The Deep). There are large aquarium enclosures where the malevolently looking stingrays and sharks swim freely. The kids will enjoy watching Nemo like creatures in their coral reef area. But its piece de resistance is the 25 meter long underwater tunnel. Be mesmerized and soak in the event of the sea creatures enveloping your whole being. Truly a deep experience. Banaue Avenue at Quezon City could be the ultimate haven for the car-loving Pinoys. 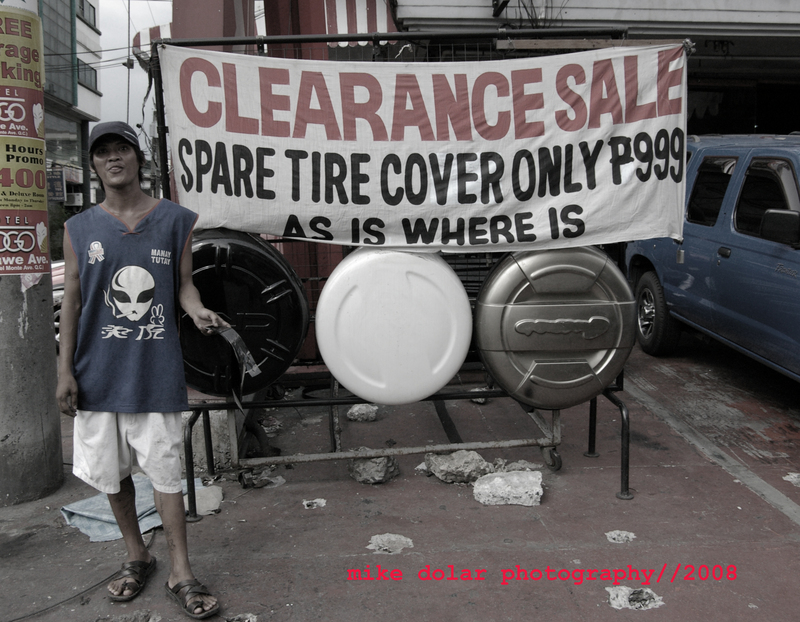 This is where one can get cheaper alternatives such as surplus from Taiwan or China just in case carparts coming from branded car service centers like Toyota or Honda become prohibitive. If one’s car gets a major hit in an acccident, then readily one can get 2nd hand original replacements from this avenue. Banaue Road is a long strip transversing Quezon Boulevard. Each stall is a treasure trove of automobile parts and thingimajigs. If that old car just needs to be glammed up a bit, then perhaps car repaint, window tints, spoilers or even just new stereo speakers can make the car a little more rideable. For the true car afficionado, then the grease and the grime just only add up to the thrill of the place. 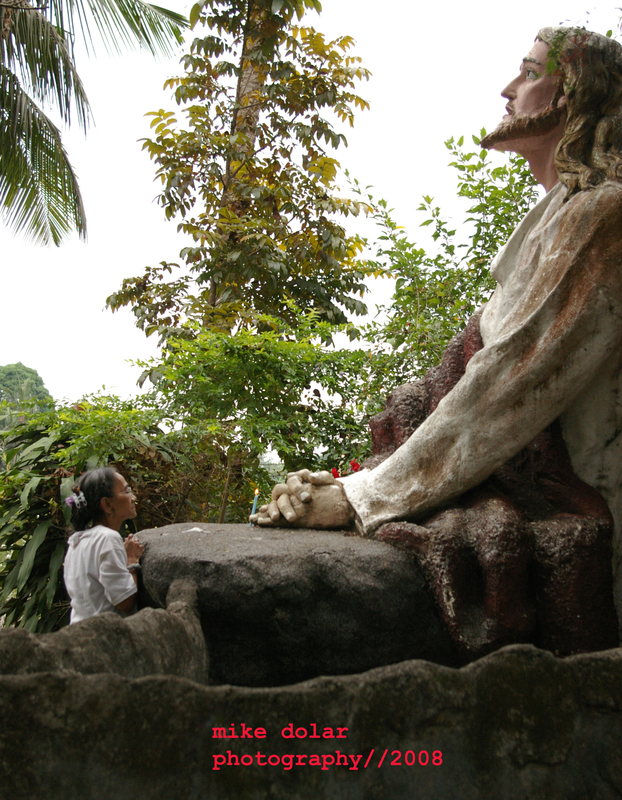 This place is Quezon City’s open secret. Who would have thought that there is still a sizeable amount of verdant greenery in the Philippines’s most urban place? Inside the heart of Fairview Subdivision is an enchanted place full of matured trees and spritely vegetation. Well on second thought, the trees were most necessary if only to protect Metro Manila’s water source. But it took an organization called ABS-CBN to foster care and develop the area with picturesque pathwalks and ingenious improvements, city dwellers would be most appreciative. The area has a retro designed swimming pool filled with salt water. No chlorine is needed. There is a fitness section where one can participate in a series of excercises such as rope climbing and sit-ups. An ampitheater is created for open area concerts and gigs. 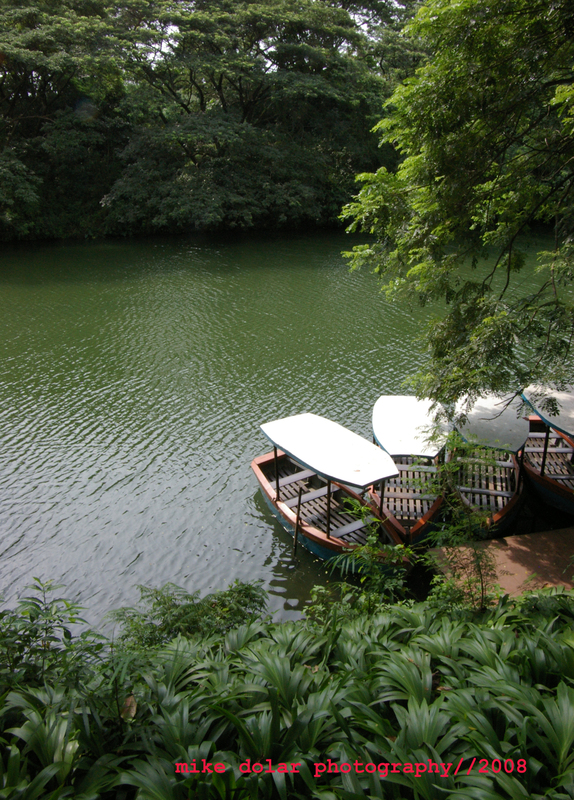 There is supposedly a lagoon where one can merrily row a boat for a hundred pesos for thirty minutes. And there is even an elegantly done, asian inspired function hall directly overlooking the boats floating along the water area. Obviously, the hall could be a nice wedding reception area. If you have your camera with you, everything you see can be a source of camera clicking inspiration. The thoughtful fountains and benches, the imperious statues of a water god (could be Poseidon, could be Neptune) and a nymph riding on a giant turtle’s back, the meandering steps – all to produce a wondrous, magical place called La Mesa Dam Eco Park.